Rajasthan is one amongst the best tourist destinations in India. It is Rajasthan alone that shares the biggest portion of revenue generated from tourism in India. The state receives the highest number of international travelers every year and there is also no dearth of domestic travelers coming to Rajasthan. It is due to the different places of tourist attraction in Rajasthan that it receives a big number of travelers every time in the year. Considering the hot and humid temperature of the state, travelers have fixed some particular time to be here. Well, the state receives the traffic of travelers all around the year but if you want to visit Rajasthan in the perfect time then head towards the city in monsoon. Yes, monsoon is the best season when you could be here at Rajasthan and this will allow you to see the best of the place. Travelling during the time can provide you relaxation from heat and in this way you can explore the place better too. So, pack your bags because this is the time when you would catch the beauty of Rajasthan in best form. We are here listing the 8 best monsoon destinations in Rajasthan that will be the finest choice for your holidays. Check out the places and plan your trip accordingly. It is situated in the Jhunjhunu district of Rajasthan, is another favored tourist destination to visit in Rajasthan. The entire region, reinvigorated by the rains, appears very welcoming. Marvel at wonderful paintings at the Mur muria Haveli and the open air art gallery at the Mandawa Palace. Spend some time at the Goenka Double Haveli. Located in the foothills of Swarnagiri Mountains, Jalore is the ‘city of granite and grandeur’. The Aravalli Ranges which fence the city become inviting in the monsoons. The enormous grey sky and verdant greenery of the hills provide an imposing background to the city. The whole city looks absolutely stunning drenched in the rains when seen from the top of Jalore Fort. The grandeur of the Rajput fortification is no less than distinguished forts in Rajasthan. 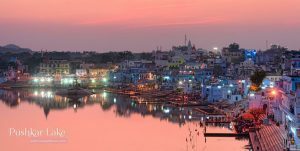 Pushkar city is known for its magnificent lakes, scenic vistas and the magnificent opportunities it offers for desert camping. It is one of the best destinations to visit in Rajasthan during monsoon season. 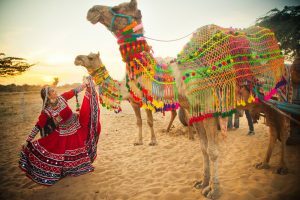 Getting awakened to the melodious sounds of a peacock, taking an early morning camel ride or paying a trip to the market bustling with activity, monsoons display the best of Pushkar. You can enjoy the place during monsoon with the delectable Rajasthani street food. The only hill station of Rajasthan is also in the list. Monsoon brings the best of this hill station and hence it is the perfect time for the travelers to visit the place. The sight of soaked greenery all around, with the misty mountains as the backdrop, is simply admirable. Further, this time is ideal for engaging in adventurous activities like bird watching, nature walk, or simply taking a stroll. Nakki Lake and Dilwara Jain Temple are two of the places worth visiting. Head towards the City of Lakes during monsoon season. One can feel romance blossoming in the air when the rain pours happily over Udaipur, the “Venice of the East” and the “city of lakes.” One of the best places to head to is, the Monsoon Palace, also known as the “Sajjan Garh Palace.” Apart from that, one should visit the Taj Lake Palace and City Palace. If you happen to be a bird lover, then Keoladeo National Park, also known as Bharatpur Bird Sanctuary, is where you should head to. 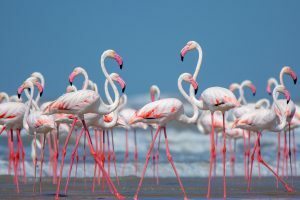 Listed as a World Heritage Site by UNESCO, it is home to about 375 species of beautiful birds, besides attracting birds from places such as Tibet, China, Europe and Siberia. However, what makes it a highly recommended destination for Rajasthan trip in monsoon season. It is also the arrival of migratory birds. The two popular ones are Migratory Waterfowls and Siberian Cranes. Flanked by the hills and river, the monsoon is a season of peacocks and rainbows in Bundi. Bundi Palace, where Nobel Laureate Rudyard Kipling wrote his novel ‘Kim’, looks aesthetically pleasing in monsoon. One of the things to do in Rajasthan in monsoon is to experience the fanfare of Teej festival in Bundi. Dotted by gorgeous step-wells, Bundi is also surrounded by the beautiful lakes of Jait Sagar, Naval Sagar, and Dugari. 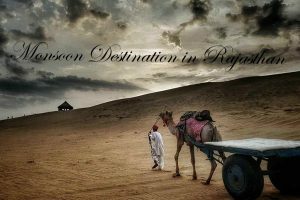 If Rajasthan is in your travel bucket list then you should check out the destinations that are mentioned here. In order to get the best experience of your travelling during monsoon you should pre-book your package. Contact a local Rajasthan tour operator that can help you to get the cheap and best monsoon travel package to Rajasthan. This is going to assist you a lot. Traveling with good planning is always helpful. If you wish to explore every place in best manner then you should take services from reliable and trustworthy operators. It is going to sort out your worries and you can attain extreme comfort while exploring the places in and around. Make monsoons the best and most memorable even of the year by travelling to these amazing destinations in Rajasthan. As compared to the other parts of India, Rajasthan is safe and sound during the monsoon travel. The roads here are well-built, so you can conveniently commute in between two places. You will always get the best travel experience while you are exploring the lands of Rajasthan with your loved ones and that too with a pre-booked package. Hawa mahal is one of the most important place to visit in Jaipur. 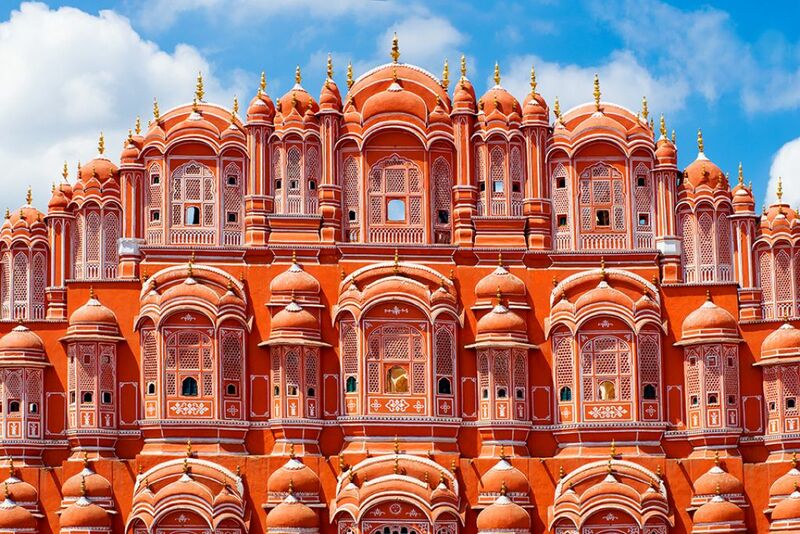 The literal meaning of the name ‘Hawa Mahal’ is palace of winds. This is one of the best example of ancient Indian architecture and the palace is designed in such a manner that the cool breeze circulates in the palace continuously. The walls made with red and pink sandstone and in-numerous windows make it breathtakingly beautiful. The City Palace complex is spread over a large area covering the one seventh part of Jaipur. City Palace is an example of the fusion culture as it reflects the combination of the Mughal and Rajput architecture. If you don’t visit the gardens,court yards, museum, temples in the city palace complex your Jaipur tour will remain incomplete. Jantar Mantar is another attraction in your Jaipur itinerary. This is not a regular monument. This enigmatic building is designed very scientifically that reflects the culture of using the ancient scientific instruments to study astronomy. If you are not that much interested in astronomy, then you might skip this place but it is indeed a part of your Jaipur trip. Try to visit this place early in the morning and it takes 2 hours to visit the whole Jantar Mantar but it is adjacent to Hawa mahal so you can cover these places in one day. Start your second day with visiting the forts. Amer fort is situated 7 km to the North Jaipur. Made with red and white stones, it is one of the most beautiful forts in India. You can take an Elephant ride to reach to the courtyard of this Fort. While visiting Dewan-e-aam, Sukh mandir, Sheesh mahal in the fort you will experience the best of the Rajput and Mughal architecture. Don’t miss the light show. It is near to the Amer fort. Surrounded with water this palace appears to float in the Mansagar lake. Visiting this palace will be a treat to your eyes.Apart from this you can visit the Nahargarh fort, and Jaigarh fort. While paying a visit to the splendid Nahargarh fort, it will remind you of the movie Rang de basanti. Jaigarh fort is an architectural marvel that provides a great view of the Jaipur city. The biggest attraction here is the Jaivana cannon. It is the world’s biggest wheeled cannon ever made.Spend the second day of your Jaipur tour in this way. For the third and last day of your Jaipur trip plan something offbeat. Go to the Bhangarh fort and hunt down some ghosts. Sounds spooky right? No, the local people have never ever seen any ghost here. Visit it in the daylight and have some excitement. This will make your itinerary more thrilling. If possible go to the Birla Temple after visiting Bhangarh and complete the Jaipur trip. So, don’t get upset if the time span of your vacation is shorter. Make a plan and travel Jaipur to experience the grandeur of the royal life style and most importantly try the Rajasthani cuisine. Odisha, also known as orissa is a great combination of naturally beautiful places and man-made sculptures. Surrounded by the hills, forest, Bay of Bengal this place is blessed with natural wonders. Coastal areas, forests, lakes, hills, historical monuments, museums, sculptures, pilgrimages and the beautiful cities make this state unique and it is one of the places which is retaining the Indian culture and tradition from yesteryears. Cities like Puri, Cuttack, Bhubaneswar, Chandipur, Konark are the famous tourist destinations.The liveliness of the cities and the serenity of the sea makes this place celestial. If you are planning to have trip to odisha, no tour will be completed without visiting these places. 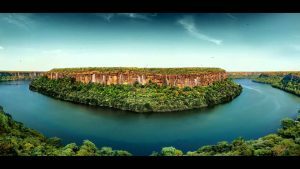 So make a list first and here are the glimpses of the sightseeings that you can’t miss in your odisha tour. Cuttack is known as the business capital of Odisha. This epicenter of art, culture, literature has a large number of pilgrimages and religious places starting from Cuttack chandi temple,Dhabaleshwar temple, Baba ramdev temple, Gurudwara, Jama masjid, Qadam-e-rasool to numerous churches. Cuttak also famous for its street foods. The diversity of culture has blessed this city with a diverse cuisine. While traveling to Odisha, you must go to Cuttack if you love shopping. Silver filigree jeweleries, various handicraft items and the world famous textile industry are the main attraction for people and because of the silver filigree industry, this city is called as the silver city of India. While enlisting the destinations for your Odisha tour, you can’t skip this name. The sea beach, sunrise, and age-old temples make this city attractive. Sitting at the beach while watching the sunrise is a wonderful experience. Stroll through the never ending beach, count the waves, play with them, take a sun bath and enjoy the fullest. Don’t forget to witness the splendid sand-arts. In the evening various artists make sand-sculptures and these are the treat to our eyes. Try to visit the world famous Jagannath temple if you are interested but prefer the morning time to avoid rush. You can also visit the beach market for shopping. Local fisher-men are found fishing, some are selling pearls and conch-shells. Every bit of this place has a magic within. Konark is an epicenter of ancient art, and culture. The historical sculptures bespeak of the age-old Indian architecture. The center of attraction for the tourists is the Konark sun temple. There are in numerous myth, history and stories about this temple. The Sun deity gets worshiped here. The excellent sculpture of the sun deity and his chariot make people wonder. The entrance of the temple is designed in such a special manner that the rays of rising sun touches the entrance first. Apart from this you can go to the archaeological museum, take a stroll through the serene beach and that will soothe you for sure. 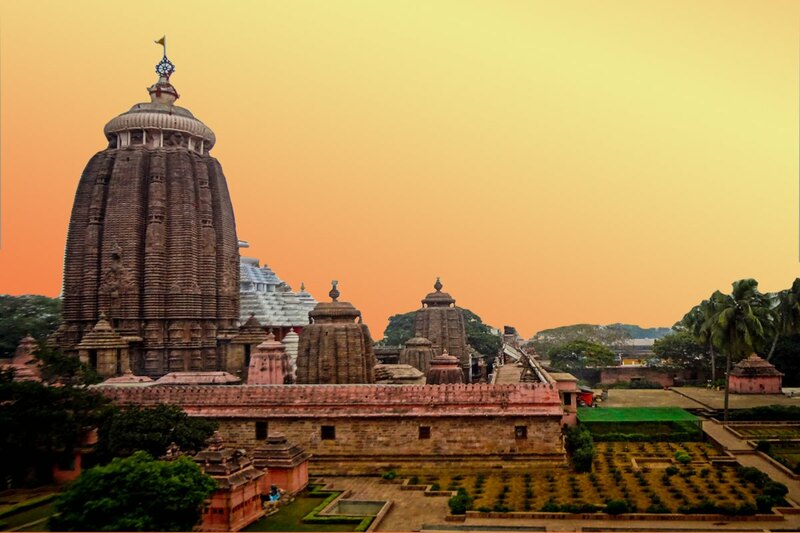 Bhubaneshwar is called as the temple city of India as there are numerous temples situated in this city. Dhauli hills, Udaygiri, Khandgiri, Nandan kanan zoo are the tourist destinations of this city. This city is a exceptional place where history, tradition and urbanization has taken place together. Bhubaneshwar is an essential part of Odisha tourism. Whether you are a history lover or a nature lover, you can’t miss the chance to explore this place while traveling to Odisha. Wanna walk through the wide sea bed while collecting sea shells? Wanna see the turtles coming from the sea and walking beside you? Of course you wanna see. Just make sure that you are visiting chandipur while having a trip to Odisha. The sea food items are the other attraction for tourists. So, make a plan, have a trip to Odisha, explore the state and make memories. Rajasthan slays with its royal appeal. It has a regal aura around it. Rajasthan, the name itself pronounces, the place of kings. Rajasthan tour includes the highlights of its vast geographical encompass, from absolutely stunning forts of ancient valor to the only hill-station in Rajasthan, Mount Abu. The striking desert places, the sand dunes, the night camps, the royal forts are all a must for your Rajasthan tour. But as most travelers are explorers to the core. Wanting to visit every nook and corner of the state. To fathom the Thar Desert, to measure the parched landscape. Rajasthan tour is incomplete without a sneak peak into what lies beyond the lens. A small village perfectly situated between Jaipur and Udaipur. It is a gem of place with a larger than life Maharaja Palace. It also hosts a man-made lake. It is picturesque and totally unspoiled. The fort stands tall echoing the great ancient heroes and the rich history of our Indian culture. People in Bundi are tourist-friendly. The place is distinctive as it proudly boasts of being independent even under the British rule only to be a part of India after independence in 1947. Its time you rise the bar for yourself and unravel Earth’s mystic beauty in your trip to Rajasthan. The glorious fort is situated between Agra and Ranthambore. It is great place to stop by and be consumed in its historical significance. It is a stunning local landmark and allows the much needed solace. Tourists can enjoy Jeep safaris and hop onto explore the Kalisil Lake. There are some grand hotels and suites for travellers wanting to have a royal nap in the vicinity. Ramantha fort, now that you know, don’t miss out this site when you are planning for your tour to Rajasthan. Amanbagh is situated at the rural outskirts of Jaipur. Amanbagh has the potential to stay with you all your life with this amazing tour to Rajasthan. The area was used for royal errands for hunting. Amanbagh now has been transformed into a resort to let the travelers have a royal feel in the midst of this tract. It is carved out of Mughal-inspired architecture and has a swimming pool, a luxurious spa and haveli suites for all the comfort you need in your trip to Rajasthan. Mihir Garh is a spectacular landscape, recently designed in 2009. It donned the Rajasthani heritage with a touch of modernity. It soothes the eyes with a puff of fresh view and perspective. The main highlight is that it is crafted from clay and other local materials and dazzles in golden hue. No doubt it really does create the Rajasthani spark with present day glitz and will raise the quotient with its magnifying beauty. Rajasthan tourism is incomplete without such epic classic monuments to remember by. This is the nest for love birds. If you are looking for some quality time with your partner in your trip to Rajasthan, then this is the place for you. The boutique Shahpura Bagh is a one of a kind heritage hotel and is sure to keep you wonder struck in your trip to Rajasthan. 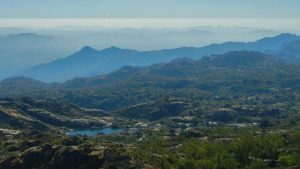 It is located between Jaipur and Udaipur but is also remote adding advantage of quietness and a peaceful outing in the midst of Rajasthan. Your trip to Rajasthan is incomplete without having to drop by Lakshman Sagar. The rugged desert landscape away from the city life enchants eternity. The resorts will give you all the feels of being a royal. The architecture is simple and serene with private splash pool and many such royal requisites. Rajasthan tours are imperfect without exploring the zeniths of unknown tourist destinations. But one thing is certain, you will fall in love with Rajasthan once you get to explore these hidden gem of places. Rajasthan tour promises unmatched beauty and elegance. No wonder Rajasthan tourism is one of the most sought after tourist destinations in India. Rajasthan, the land of Maharajas, is mostly known for myriad sagas of valor, bravery, chivalry, sacrifices of the legendary kings and queens. It is also known for the vintage palaces, forts, castles and other ancient sculptures that are carrying the memories of the Royals. The colorful cities, Desserts, Lakes, Camel safari, Elephant safari, Trade fairs, mouth-watering foods, and obviously the scenic beauty makes this place is a center of attraction for tourists and that’s why the Rajasthan tour is always preferred by the travelers. If you are planning to travel to Rajasthan, then your journey must entail these places. Jaipur, the capital of Rajasthan, is called the Pink city. There are mesmerizing palaces colored with pink make it the attraction for tourists and it is the most famous shopping destination of Rajasthan. Once you go to the markets for shopping, you’ll get to the see cultural, traditional art and crafts of this state. Starting from colorful clothes, bags, footwears, jewelries, utensils to showpieces there is an aesthetic touch everywhere. So, shop till you drop and don’t forget to bargain. 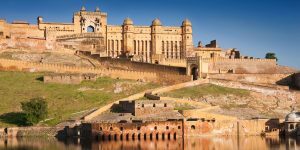 The Amer Fort and the city palace are the must-visit places. Jaipur is also famous for precious stones. Luxurious hotels, budget-friendly guest houses, family-owned hotels, there are plenty of options to stay in Jaipur. While traveling to Rajasthan, your tour would remain incomplete if you miss the blue city. Yes! You heard it right Jodhpur is called by the name blue city. There are lots of small house painted with blue color and this is the beauty of this place along with other royal forts and castles. There are hotels to stay in Jodhpur with different price rates. Rajasthan tour packages also include Udaipur, the city of lakes. So many times, all of us have seen the locations of Venice on the silver screen and even we drooled over them. Just have a trip to Udaipur, the Indian version of Venice will make you happy surely. The lakes, boat rides, palaces simply make this place a dreamland. This is also called as the white city. Visiting Jaisalmer is an essential part of Rajasthan tour. The Jaisalmer fort is made of golden colored stones which make it look like a sand castle. It is also called as Golden Fort. If the walls of the fort could talk, then they would have told innumerable stories to the tourists. The museum should not be missed. Tourist usually visits the Sam village which is nearly 45Km away from Jaisalmer. Pushkar is mostly famous for the lake and the Brahma temple. This place is believed to be the only place in India where Lord Brahma gets worshipped in the temple. The scenic beauty is splendid and another interesting thing is the Camel trade fair of Pushkar. No Rajasthan traveler can afford to miss this place. Rajasthan is the place where the palaces, and forts are carrying the pride of Indian culture till date and where each of stones of the castles has witnessed timeless stories of love, war, sacrifice. Places like Bikaner, Bundi, and Sekhawati Region are also part of Rajasthan tourism. Apart from this Rajasthani cuisine is another reason for attracting the tourists. While traveling don’t forget to taste the items DaalBatiChurma,BesanGatte, MirchPakoda, Kachoriand LaalMaas. There are lots of exciting places to explore. Just immerse yourself into the majestic ambiance of Rajasthan and enjoy every bit of your Rajasthan tour. What Makes Udaipur the Best Honeymoon Destination in India? Honeymoon which is the most romantic period for the couples is also the most important time of their life. It is hence very important to choose the destination very wisely because the time spent at the destination makes it the most romantic period in couple’s life. This is a reason why couples go for the romantic destination so that they can perfectly ooze out the love and emotions. When it comes to honeymoon, choosing the best is what everyone desires for. 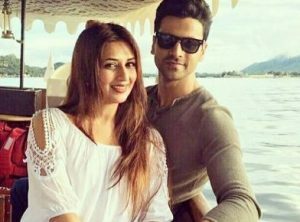 Newlyweds in India are now opting for international destinations for honeymoon, which is definitely not a bad choice but why to go for an international location when you have a perfectly romantic place in India itself. Yes, if you are wondering which is that location that gives the equal competition to international destinations like Venice then that place is Udaipur: the lake city of India. Rajasthan is a traveler’s paradise. The state itself offers the maximum number of tourist destinations in the country and when it comes to Udaipur then it is counted as the best and the not to be missed destination in Rajasthan. The lakes, the palaces and the colorful city are the reasons why you should visit the place at least once in your life and when that one time is your honeymoons then it is just perfect. Here we are mentioning the point that what makes Udaipur the best honeymoon destination in India. Romancing like Royals in the Grand City Palace: If you want to live the life like king then Udaipur gives you this opportunity. The beautiful view of Lake Pichola and honeymoon suits at the city palace, what else you want from your perfect romantic time. This is the place that will make you to perfectly ooze out the love and emotions. Crystal Gallery at Fateh Prakash Palace: To enlighten your love for your soul-mate, a walk through the crystal gallery at Fateh Prakash palace would be just perfect. You can walk holding hands of your partner and can see the spark of love at this very romantic place. Capture Romantic Sunset at Fateh Prakash Palace: If you think that ending cannot be romantic then you will be proved wrong when you will spot the sunset from Fateh Prakash Palace the Sunset Terrace. A romantic dinner with your soul-mate and taking the oath of lifelong love can be perfectly done here. Romantic Ride to Jag Mandir from Lake Pichola: Making the promises for life at a romantic boat ride in Lake Pichola to Jag Mandir would make your tour more romantic. It is something that you should not miss. If you want to experience it at the most romantic time then the evening ride would be the best for you. Enjoy Paragliding with Your Partner: Imagine you and your partner romancing on the sky. Well, this is also possible if you are at Udaipur. You can get amazed by the picturesque view of the lakes, age-old temples, palaces, and lot more, while paragliding with your partner. Romance at Ambrai Ghat: Udaipur will never disappoint you with its travel options. You can simply sit together at the peaceful Ambrai Ghat, and enjoy each other’s company at this beautiful place. Capture Panoramic View at Monsoon Palace: Enjoy the panoramic view of the City of Lakes, from the Monsoon Palace located at a hilltop. Capturing sunset at the Monsoon Palace should also be added on your travel bucket-list to Udaipur. Choose Udaipur as your destination for honeymoon and definitely the place will never disappoint you. You can take the services from trusted and best Rajasthan tour operator to make the trip memorable. Travelling to Rajasthan is definitely a fantasy for people. The biggest state of India welcomes the travelers from different part of the world with open arms. It is considered to be the most tourist-friendly state in India but still there are few precautions that every traveler should take and should know. Traveling in bigger cities of Rajasthan may attract some unwanted attention which may get you in some kind of troubles. Here for your reference and safety we are giving you some of the precautions and safety tips to enjoy your Rajasthan tours. If you have booked your tour under an experienced Rajasthan tour operator then you will get these instructions in advance. Be Cautious About Baggage: Always keep yourself and your luggage safe from the burglars and thieves as you might find many there. On congested local buses, hold onto your baggage. You might be requested to put your belongings underneath a seat to make some space for other fellow passenger. Don’t do it. Security Inside Hotel Room: Your safety is in your own hands and you should always be cautious about that. In budget lodging, double lock the entrance with use of padlock and tightly lock all windows before going to sleep or going out for the night as thieves are practiced at stealing into unsafe hotel rooms. Secure Luggage: A theft or loss of luggage in Rajasthan is a very common practice and you should always be cautious about the same. If you are leaving your luggage unattended anywhere, for any reason, bolt it to a pipe, a bed-stand or anything that you can find and cannot be moved. Don’t Take Food From Strangers: Don’t take any food or drink from any stranger particularly on trains or buses. It might be intoxicated. Accepting anything from the unknown can be dangerous to your health as well as wealth, hence a clear rejection would always work. Keep Yourself Hydrated: Keep a bottle of fresh drinking water near all the times. Fill it up every morning before leaving your hotel. This protects you drinking local (often unhygienic) water. Beware maximum of the infections out here are water-borne. Don’t Drink Unfiltered Water: By No means take any water even in restaurants that is not filtered, purified with water purification pills or with mixture of iodine or boiled for at minimum ten minutes. Though you will not be definite of this, always use mineral water (Packaged water) to drink. Have Balanced Diet: Eat 3 balanced meals a day. In hot, dry climates just like Rajasthan it is common for travelers to skip solid foods, and to stay on a liquid diet of fruit, curds, and other bottled drinks. The unavoidable result is diarrhea. Keep Medication Refilled: Keep your medicinal kit often refilled. Before leaving for remote area go to a local druggist and stock up on aspirins, diarrhea pills, insect cream, salt tablets and other first-aid prerequisites. Don’t Eat Spicy Food: Avoid too Spicy food on your travel; make sure you ask your host to use less spices as Rajasthani Food or Rajasthani cuisines are very spicy in nature. Eating too spicy food which you are not habitual of can make your stomach upset. Have a safe and secure Rajasthan tour planned by the experts. You should be cautious about the things from your own end as well. Your safety is in your own hands and so as the safety of your goods as well. Always remain at the safest side with the best preparation of the things. The temperature at Rajasthan is hot and humid so it is better that you should keep your body hydrated always. The ethnic and regal state of Rajasthan can be a home away from home for people. It is considered to be one amongst the safest destinations in India. Famed primarily for its rich culture and imposing forts and palaces, Rajasthan is one of the topmost tourist destinations in India, loved by both Indians and foreigners alike. Considering the tourism in India, the country is considered to be the safest place in the world to travel. When a person is very particular places in India to travel and explore then definitely Rajasthan tops the list. It is the most tourist hit destination in India and the safety is definitely the prime reason for that. 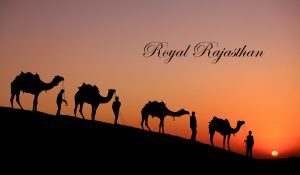 To make you understand the things better, we are here with the 8 reasons why Rajasthan is considered to be the safest tourist destinations in India. People-Friendly Environment: Rajasthan’s hospitality is its iconic trademark, but even its friendliness is so off-the-cuff. You will find extremely humble and friendly locals here that will turn up your trip into great memories. A walk through the street or lanes of Rajasthan will never let you feel that you are at an alien’s land. 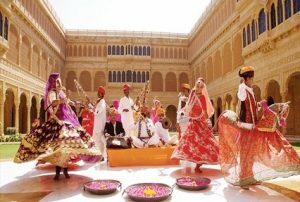 Festive Atmosphere: Rajasthan is a land of festivals. There are so many held annually such as the Desert Festival, Pushkar Fair, Elephant Festival, Gangaur Festival, Marwar Festival and Nagaur Festival just to name a few. Also, the atmosphere in general is very festive. So, the things happening in and around you will fill you with the full zest and zeal. Good Accommodation Option: Tourism is a greater source of revenue for the locals of Rajasthan hence the government and the travel and tour industry is blooming at the state. Your stay at any place in Rajasthan is going to be the most comfortable one because here you can find very good and comfortable accommodation options. Rajasthan has all kinds of options to choose from – luxury hotels, guest houses, heritage resorts, budget hotels and home stays. Apart from comfort and amenities, the hotels give you great hospitality and a true ‘Rajasthan’ experience. Open-Minded and Respectful Locals: Although Rajasthan is a highly conservative state, the locals respect a visitor’s individuality. If a woman is rambling all alone in any city of Rajasthan, she would be respected for who she is and her background. Even if she is from a different culture or follows a totally different way of life, she wouldn’t draw attention. The locals in general know that they have to receive each guest with reverence. Personal Space: A place in India where you can get your own personal space even if you are surrounded by many people is definitely Rajasthan. Even if at a crowded place you want to do something on your laptop no one is going to stare you are ask you about the things. This is something that you can hardly find at the other places in India. Variety of Things to See and Do: Rajasthan is best to travel because there are varieties of things to see and do here. Every nook and cranny in the cities of Rajasthan is so full of buzz. A place that will fill you up with many options is definitely Rajasthan. Ideal for Solo Travelers: If you are planning to go to somewhere for a solo trip then head towards Rajasthan. The state will never disappoint you in any of your desires and definitely you are going to collect the best memories of life from here. Pick up Services by Hotels: If you are still worried as how your trip to Rajasthan is going to be, then it is better to hire a reliable, trusted and experienced local Rajasthan tour operator for the task. You will get pick-up services from the hotel from wherever you are arriving. Plan your safe and secure travel through Rajasthan. You are going to get the best experience of life from here. There is no doubt on this that Rajasthan is the safest tourist destination in India and the above mentioned points are the best justifications to that. Ever wondered how beautiful it would be to drive in the deserts of India covering the most beautiful locations enroute? When it comes to India tour and travels then most of the people prefer Rajasthan. A big portion of travelers every year in India prefer to visit Rajasthan. No matter whether they are domestic or are coming from an international location, Rajasthan is always the top choice. Well, the state is well connected with road, air and train but the best way to speculate the true vividness of the state is road trip only. The state is blessed with the well-built road that makes it an additional benefit for the travelers coming here. Each and every location in Rajasthan is worth visiting but the road trip between Jaipur to Jaisalmer is worth and something that you should definitely visit once in your lifetime. For the wanderer in you, here we are with the perfect road trip plan that will help you to practice your desire in the most positive manner. The journey of road trip would be Jaipur – Bikaner- Jaisalmer – Pushkar – Jaipur. The road trip is of approximately 1322 kilometers and the driving time is 22 hours, means you are going to enjoy the road for as long as 22 hours. The total travel time to complete the itinerary is 8 days. Here goes the perfect plan. 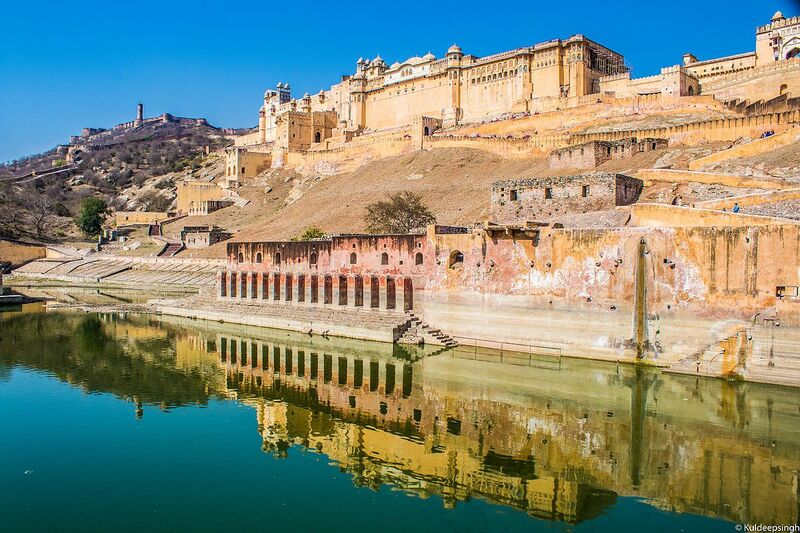 Jaipur – Bikaner: The pink city of India is definitely the most beautiful locations in India. From the capital of Rajasthan, there starts the best journey to Bikaner the city of camels. As soon as you will leave the premises of the city, you would find the immediate change in the flora and fauna and definitely you would get that desert feel with the thorny shrubs all across the roads. Spotting a Chinkara or Peacock enroute would be your treat to eyes. The distance between Jaipur to Bikaner is 334 kilometers and it is almost 6 hours drive. Reaching to the place, you can watch the beauty of the city at night and rest so that your body would be ready for the next day trip to Jaisalmer. Bikaner – Jaisalmer: The distance between Bikaner and Jaisalmer is 330 kilometers and the driving time is again almost 6 hours. Located in the Thar Desert, Bikaner is the best place for them who really want to speculate the true Rajasthan. Be it the culture or the weather, everything here would perfectly support your concept of deserted land. You can visit Pokhran atomic energy plant, which is country’s famous first underground nuclear detonation. The roadside food in the highways would serve the best treat for you. Tasting the authentic Rajasthani food at the roads would bring you more close to the culture of the state. Catching a glimpse of sun during the evening time would be the best treat for your eyes. Doing camping on the sand dunes and enjoying folk dance and music there during your night stay would help you to collect more memories. 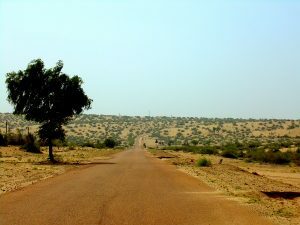 Jaisalmer – Pushkar: This is definitely a long way for you to cover and the trip can take almost 9 to 10 hours. The distance between Pushkar and Jaisalmer is 460 kilometers and you have to start early to reach the city of lakes at night. Pushkar city is situated around the Pushkar Lake and homes the only Brahma temple in the world. 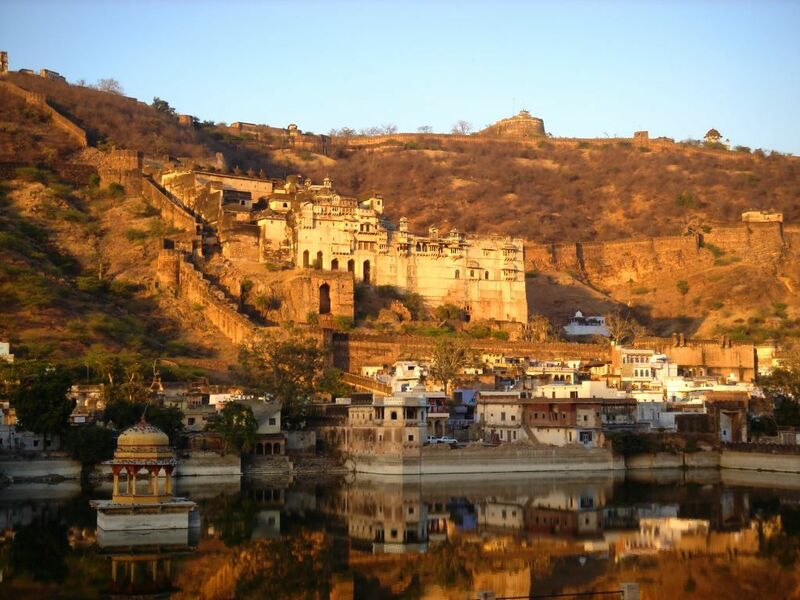 The trip from Jaisalmer to Pushkar would aid you to see many beautiful things in between. Waiting for camel ride on the sand dunes would add more in your Rajasthan excursion. Shopping in the streets of Pushkar can help you get some souvenirs for loved ones back home. Pushkar – Jaipur: And, here comes your final ride to the destination. The distance between Jaipur to Pushkar is 148 kilometers and you can cover the same in almost three hours. As the roads are good in condition, you would definitely enjoy your ride in the clear highways. Tasting the perfect combination of Daal-Baati-Churma on the highway will fill your journey with deliciousness. The roads are Jaipur would definitely serve as the best treat for your journey. You can hire taxi in Rajasthan or simply can contact a reliable tour operator that can customize your trip as per your wishes. There are so many beautiful things to see and speculate in all these locations which are only perfect if you have a guided tour of the place. Taking the services from trusted Rajasthan tour operator for Jaipur to Jaisalmer road trip will aid you in living the dreams of having the perfect road journey and that too on the well-elevated highways of Rajasthan. If you are visiting Rajasthan or India for the first time then it is suggested that to avoid any sort of complications you should always hire the professionals and enjoy your trip with them.